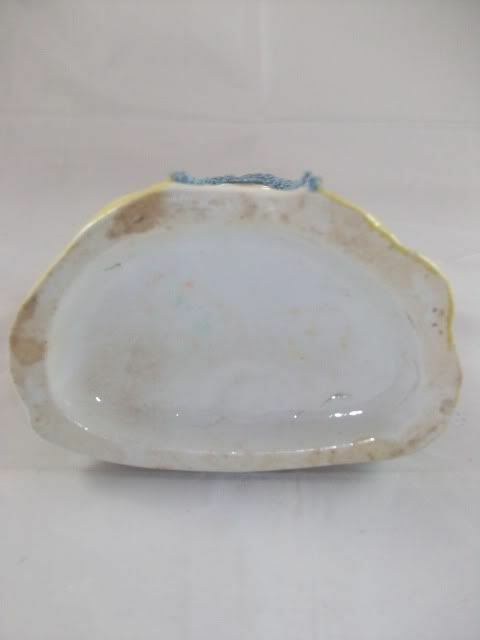 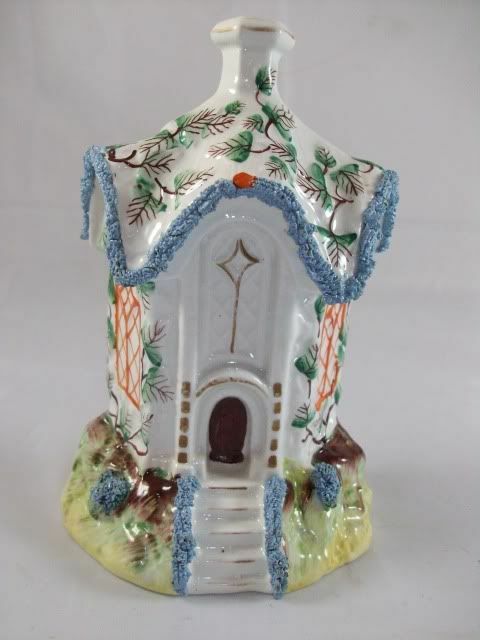 Antique staffordshire cottage pastille burner. 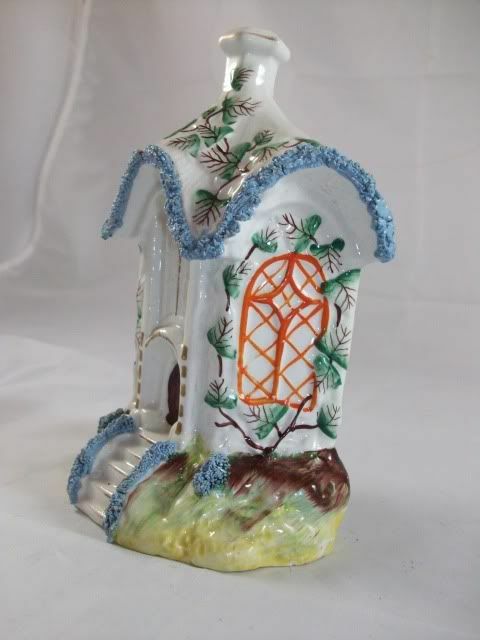 The cottage is in excellent condition with all the bocage intact. 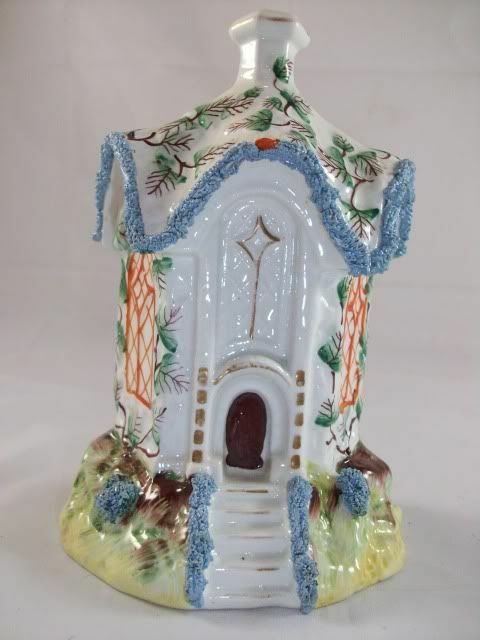 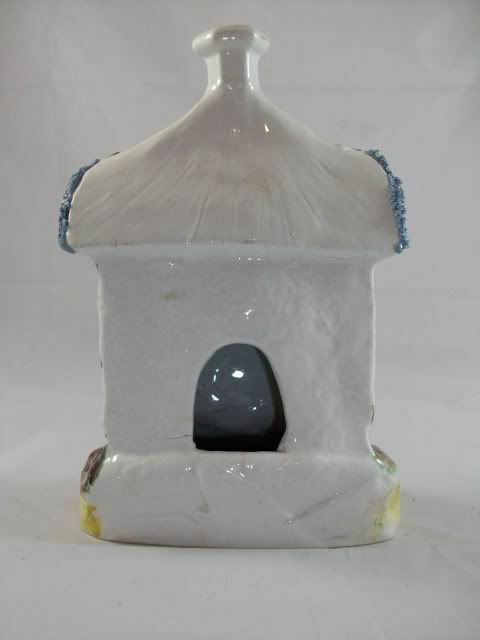 This pretty little handpainted sculpted cottage measures 6 1/4" tall by 4 1/2" wide and has a depth of 3". 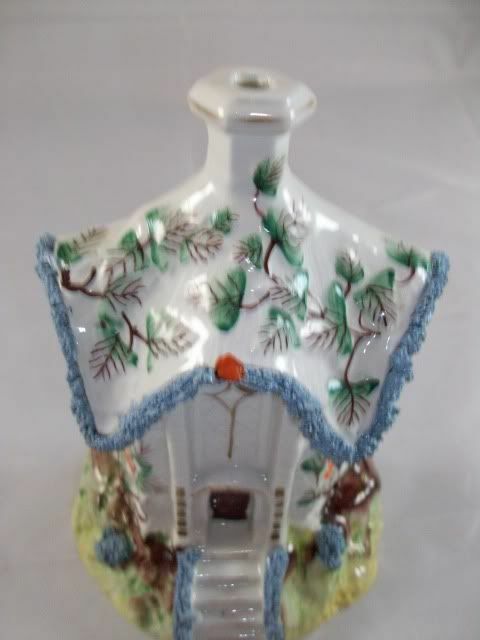 The pastille burner dates from 1860-80 and is legal antique.